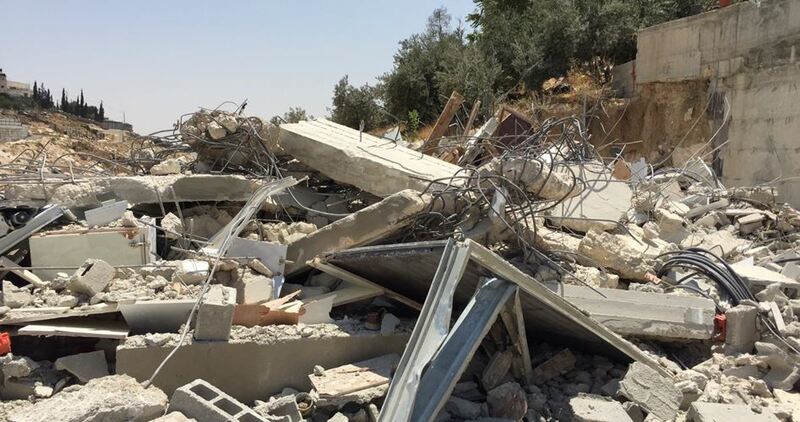 Israeli occupation forces (IOF) on Monday demolished a Palestinian facility used for manufacturing building stones near the entrance of Beit Ummar town to the north of al-Khalil city. 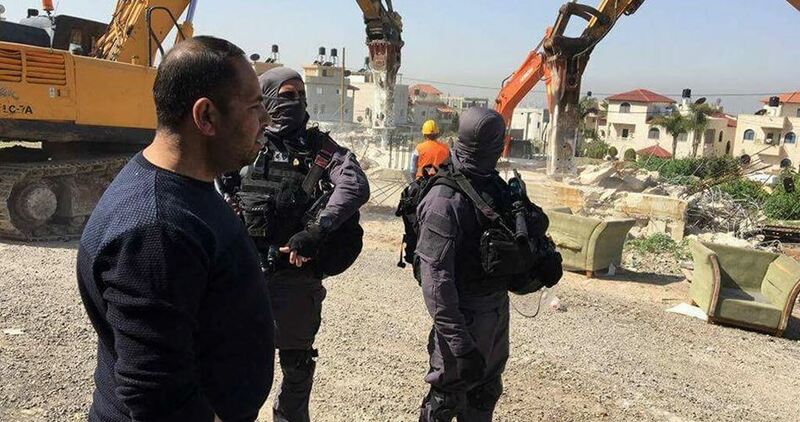 PIC reporter said that a military force from the so-called Planning and Building Committee of the Israeli Civil Administration, accompanied by border guards and a bulldozer, stormed the area and demolished the facility belonging to the Palestinian citizen Saber Abu Mariya. 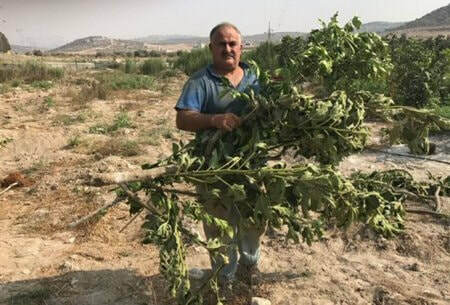 He pointed out that Abu Mariya possesses documents proving his ownership of the land in addition to a decision by the Israeli supreme court allowing him to work in his facility. Abu Mariya has been for years a constant target of the IOF practices having his house and factory demolished several times. At least 20 Palestinians were kidnapped by the Israeli occupation forces (IOF) at daybreak Monday in abduction sweeps rocking West Bank provinces. The IOF rolled into al-Azza refugee camp, north of Bethlehem province, and kidnapped two Palestinian young men from their family homes. The IOF also seized surveillance cameras from a Palestinian filling station in Bethlehem’s eastern town of Tekou’a. 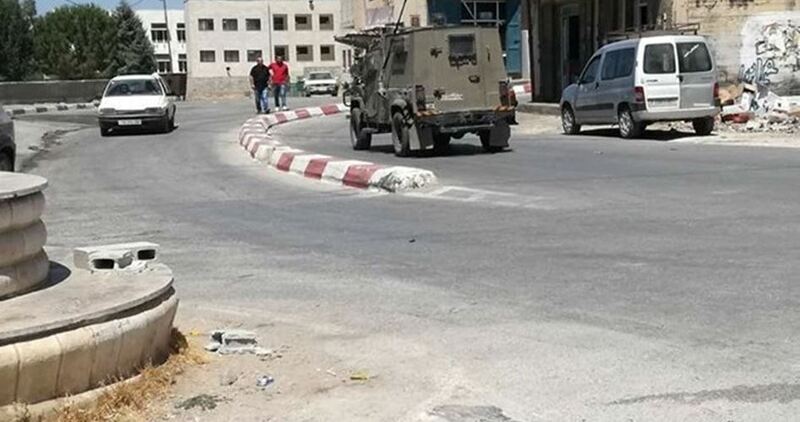 The occupation forces further stormed al-Duheisheh refugee camp, south of Bethlehem, and closed al-Tariq bookshop, in the second such move in recent months. The Israeli soldiers ransacked Palestinian homes in the camp and cracked down on civilians before they showered the area with live rounds and teargas canisters. Dozens of civilians, among them children, choked on teargas. A Palestinian young man was shot and injured with live ammunition in his leg and was transferred to a local hospital. Wildfires also broke out near a civilian home in the assault. 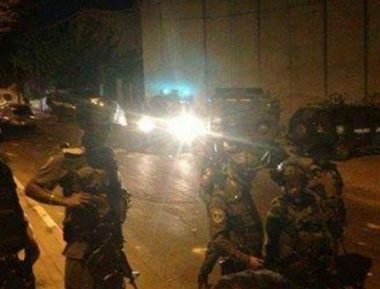 At the same time, dozens of Israeli soldiers broke into Qalqilya, in the northern West Bank, and kidnapped seven Palestinians after they rummaged into civilian homes. The list of arrestees included the Palestinian children Karam Noufel, 15, and Omar Saleem. In the meantime, a number of Palestinians sustained gas and bullet injuries in clashes that burst out shortly after the IOF raided a female students dormitory in Tulkarem. Medics at Thabet Thabet Hospital said a number of protesters have been treated for breathing disorders and rubber-bullet injuries inflicted by the assault. 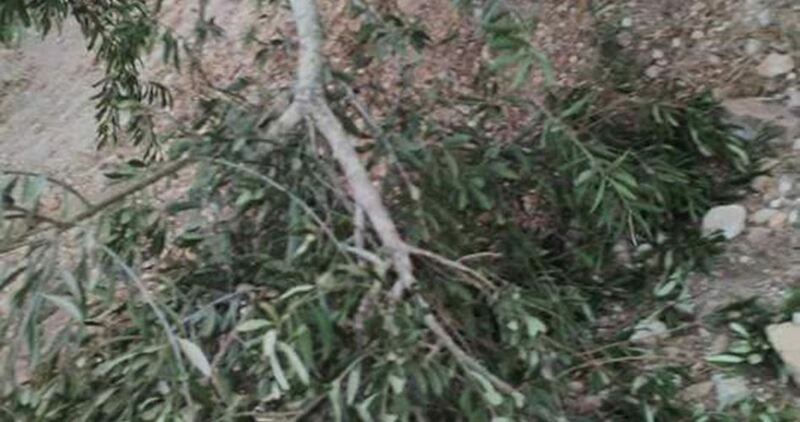 The sweep culminated in the abduction of 16-year-old Mohamed al-Badawi from the al-Arroub refugee camp, north of al-Khalil, and the Palestinian citizen Fahmi Badr from his home west of Ramallah in an attempt to force his son, Mus’ab, to turn himself in. Israeli soldiers invaded, on Monday at dawn, Deheishe refugee camp, south of Bethlehem in the occupied West Bank, injured several Palestinians during ensuing clashes, and shut down a local stationary store. Media sources said dozens of soldiers invaded the refugee camp, and fired many gas bombs at the locals, an issue that led to clashes. The sources added that many Palestinians suffered the effects of teargas inhalation, while a young man, identified as Ismael Sami al-Ja’fari, was moved to a hospital in Bethlehem, after the soldiers invaded his home and assaulted him. Furthermore, the soldiers invaded a local stationary store, owned by Jamal Ibrahim Farraj, and shut it down until October 17, 2017, without providing an explanation or a warrant. On Sunday at night, the soldiers opened fire at a Palestinian car, near Road #60, close to the northern entrance of Yatta town, south of the southern West Bank city of Hebron. The car drove away without any reported injuries, and the reasons for opening fire at it remain unknown. Israeli soldiers invaded, on Sunday at dawn, three villages and towns in the West Bank governorate of Bethlehem, searched many homes and abducted four young men. The soldiers also illegally confiscated two tractors and a car in Tubas, in northeastern part of the West Bank. 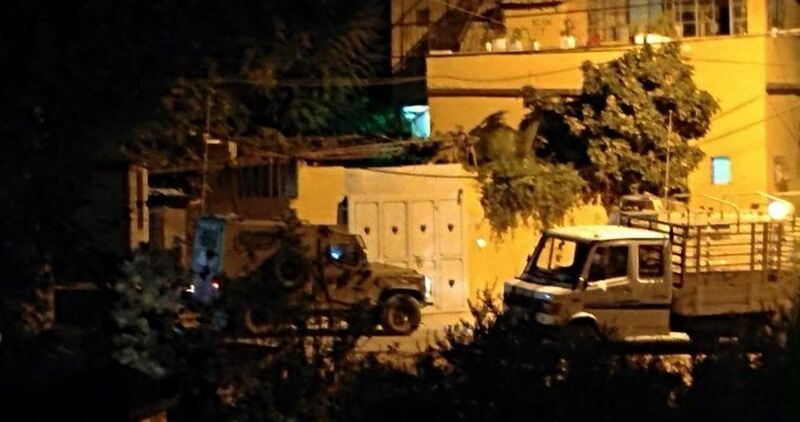 The Bethlehem office of the Palestinian Prisoners’ Society (PPS) has reported that several army jeeps invaded Beit Fajjar town, south of the city, searched homes and abducted Islam Mohammad Deeriyya, 25. 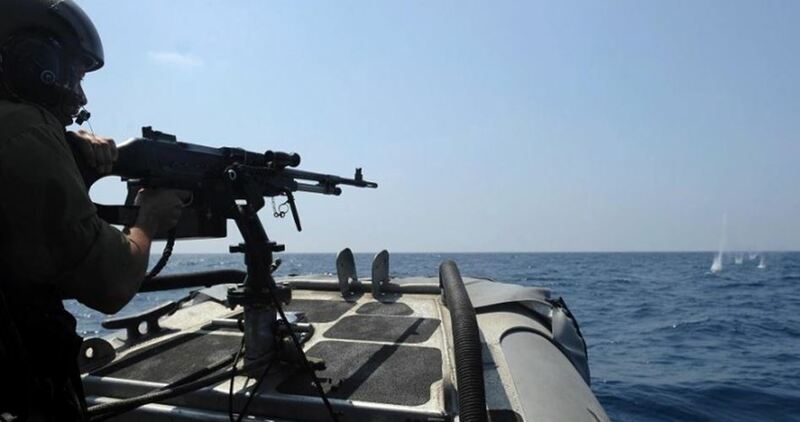 It added that the soldiers also invaded Marah Rabah village, south of Bethlehem, and abducted Waleed Mahmoud Sheikh, 27. 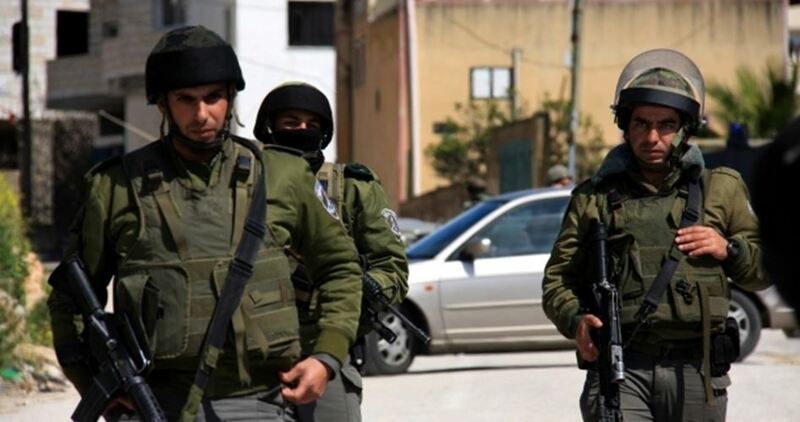 Furthermore, the soldiers invaded homes in Teqoua’ town, east of Bethlehem, and abducted Mohammad Ribhi al-‘Amour, 22, and Omar Hammad Hmeid, 19. In related news, the soldiers invaded agricultural in ar-Ras al-Ahmar area, south of Tubas, and illegally confiscated two tractors and a car, owned by Palestinians working in the fertile lands. 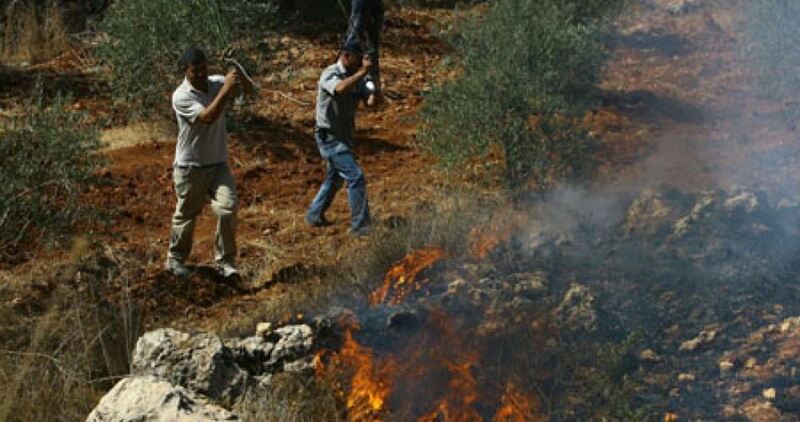 The attack is part of a serious of similar violations carried out by the soldiers against the Palestinian villagers, their lands and property, which seriously escalated over the past ten days. A Palestinian popular committee on Friday said that the situation in the Gaza Strip is worsening and that the repercussions of the Palestinian division and the blockade are still affecting citizens' lives despite the understandings reached lately in Cairo. 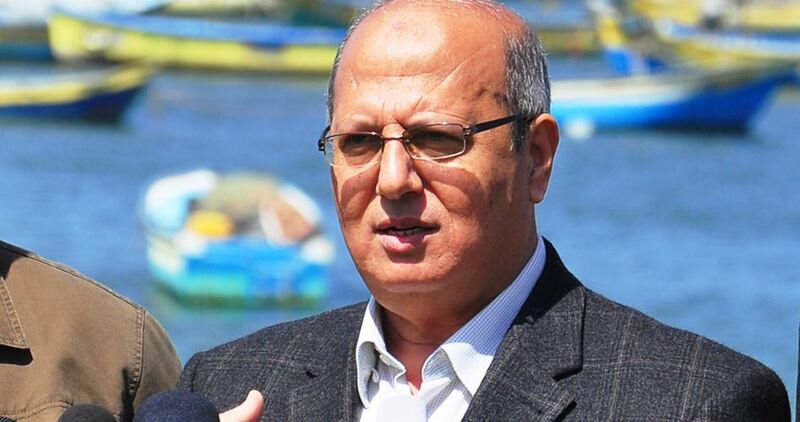 Head of the Popular Committee Against the Siege, Jamal al-Khudari, said in a statement that the humanitarian suffering in Gaza is still the same despite the Cairo talks that led to the dissolution of the administrative committee. A geographical and political split has occurred between the Gaza Strip, which has been under Israeli blockade for a decade now, and the West Bank since 2007, he said, adding that none of the international and regional mediations had succeeded in ending the Palestinian division. Khudari stressed that nearly two million Gazans hope, following the dissolution of the administrative committee, that the Palestinian Authority (PA) will backtrack on all the punitive measures taken against them. Hamas few days ago, within the framework of the reconciliation efforts sponsored by Egypt, decided to dissolve the administrative committee which the Movement formed in March because of "the PA government's failure to assume its responsibilities toward the Palestinian people in Gaza." The PA president and Fatah Movement leader, Mahmoud Abbas, had waged a set of punitive measures against the Gaza Strip in response to Hamas's move, including cutting the Gaza employees' salaries, forcing some of them into early retirement and reducing power supplies to the besieged enclave. Abbas on Wednesday expressed his relief at Hamas's latest decision, and reports say that a delegation from Fatah and the PA government will soon head to Gaza to start the implementation of the agreements reached. The Israeli occupation army on Monday closed a fuel station in Deir Istiya town, east of Salfit in the West Bank, without giving a reason for its measure. Local sources said that an Israeli officer handed the station owner a notice issued by the military commander in the West Bank telling him that his facility would be closed for 24 hours. The sources added that the station would remain closed until eight o’clock on Tuesday morning, pointing out that that the military force that stormed the station confiscated its keys, without stating if it would bring them back. 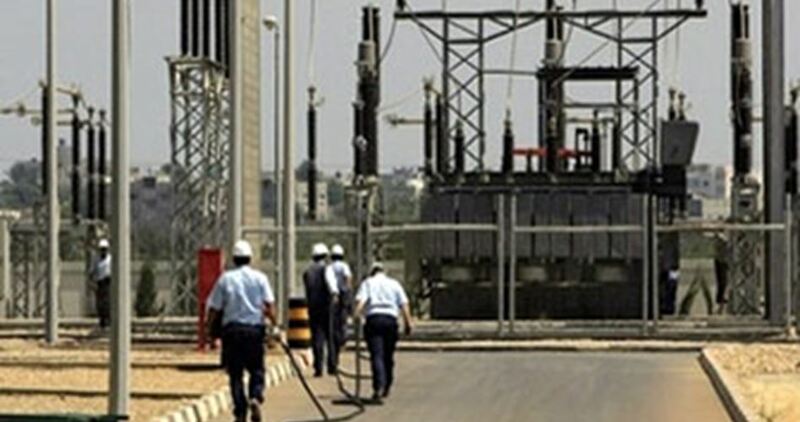 The Gaza Strip Electricity Company on Saturday morning re-operated two main generators at Gaza's sole power plant following the entry of Egyptian fuel supplies into the besieged enclave. The Company announced that based on the current distribution schedule electricity will be provided for 4 hours followed by 16 hours of blackout. 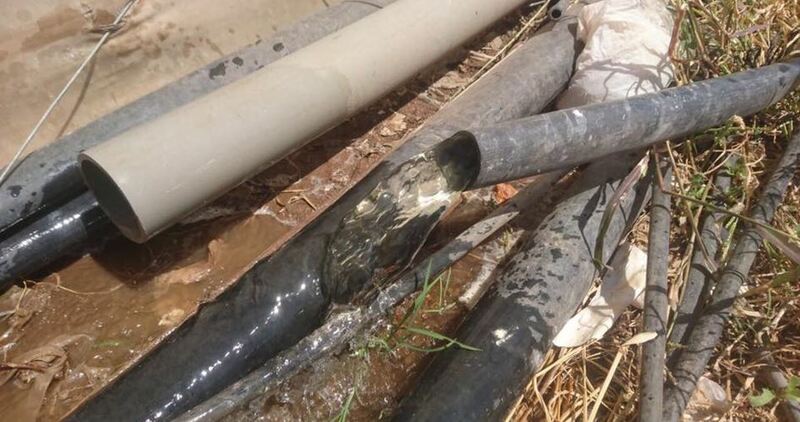 The Company said in a statement that the amount of electricity currently available is 115 MWs, including 70 MWs provided by the Israeli lines and 45 MWs generated by Gaza's power plant, and added that the Egyptian lines are still broken. The Gaza Strip needs about 600 MWs of electricity a day, and for more than 11 years, people there have been suffering from a suffocating power crisis that has affected all aspects of life. Israeli forces Saturday ordered a halt to work on opening an agricultural road in the village of al-Khadr, south of the city of Bethlehem in the West Bank, according to Ahmad Salah, a local activist. 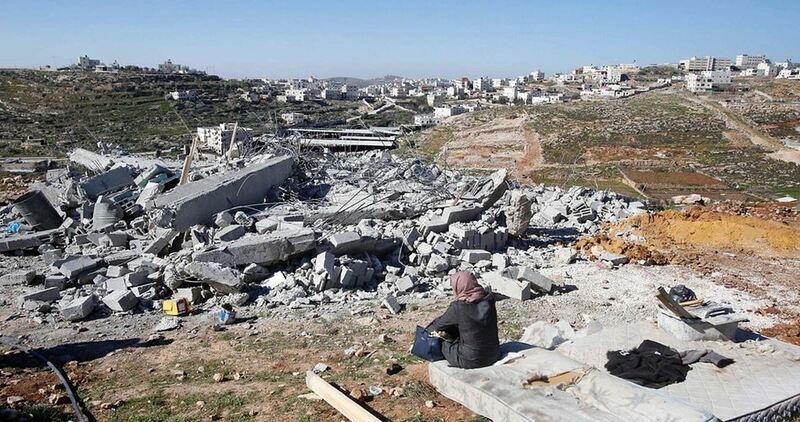 He told Quds Press that Israeli forces stopped work on the road that is supposed to serve several farmers in the area and which was funded by the Basque Agency for Development Cooperation for the sake of helping farmers access their lands in rugged areas. 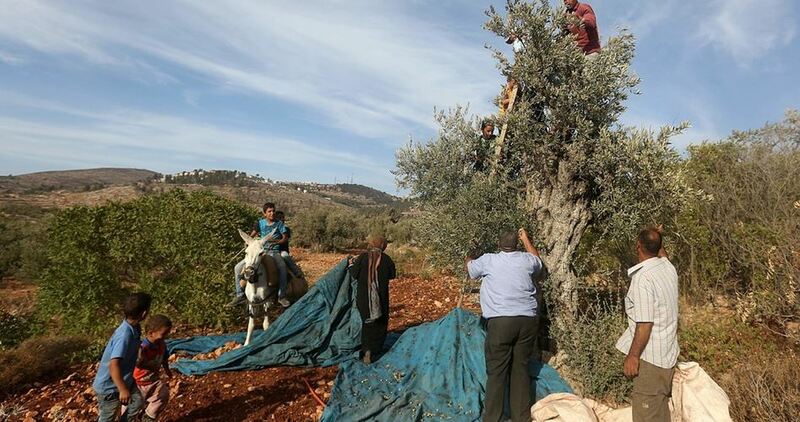 The soldiers informed the workers from Palestinian Agricultural Relief Committees that they would confiscate their vehicles and tools if they continue to work on the road. 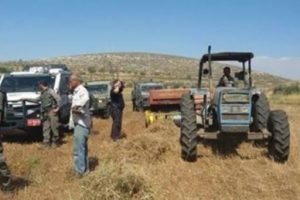 A group of Israeli settlers attacked Palestinian shepherds near Khirbat al-Hamma in the northern Jordan Valley on Thursday. The Palestinian activist, Aref Daraghmeh, told WAFA news agency that the Israeli settlers chased shepherds in the nearby sheep pastures. 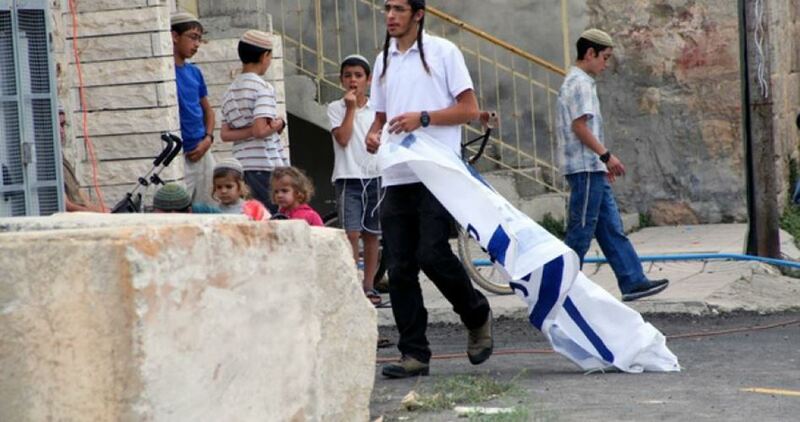 Israeli settlers' attacks in the Jordan Valley go in line with Israeli systematic policy that aims at pressuring citizens to evacuate the region since it is considered a vital and strategic region on the military and agricultural levels, he added.